Nature is proven to be beneficial for our health, happiness and general wellbeing. So when it’s time to get away from it all on holiday, it makes sense to enjoy new surroundings that will bring us the maximum feelgood factor. 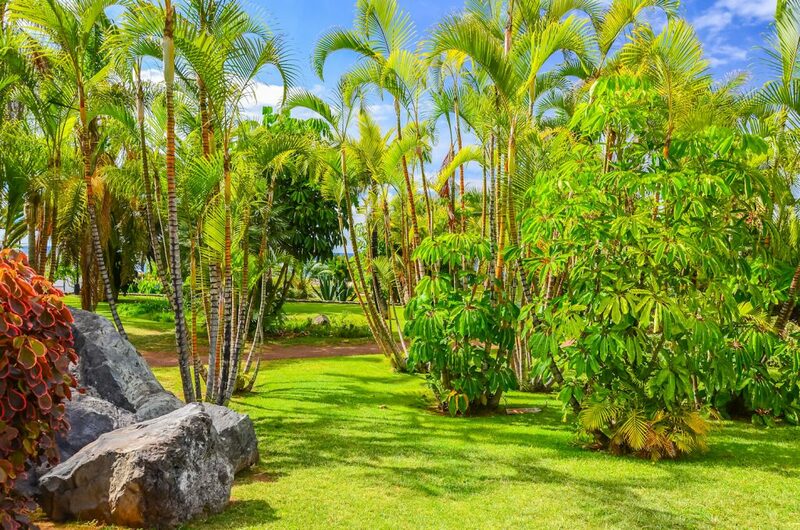 Whether you’re a green-fingered gardening enthusiast looking for inspiration, or simply want to soak up the amazing feeling of strolling through beautiful gardens, we’ve found nine of the best holiday destinations that have remarkable botanical gardens. With a balmy climate and unique geography, it’s no wonder the island of Madeira is home to some glorious flowers. This centres on Madeira Botanical Garden, which covers an immense area of 80,000m², with much of the grounds overlooking the glinting ocean beyond. Explore Madeiran indigenous and endemic species, medicinal and aromatic plants, palm trees, cycads and a wonderful arboretum. Another celebration of all things floral on the island is Madeira Flower Festival, with two weeks’ worth of activities every May and amazing flower walls to enjoy. 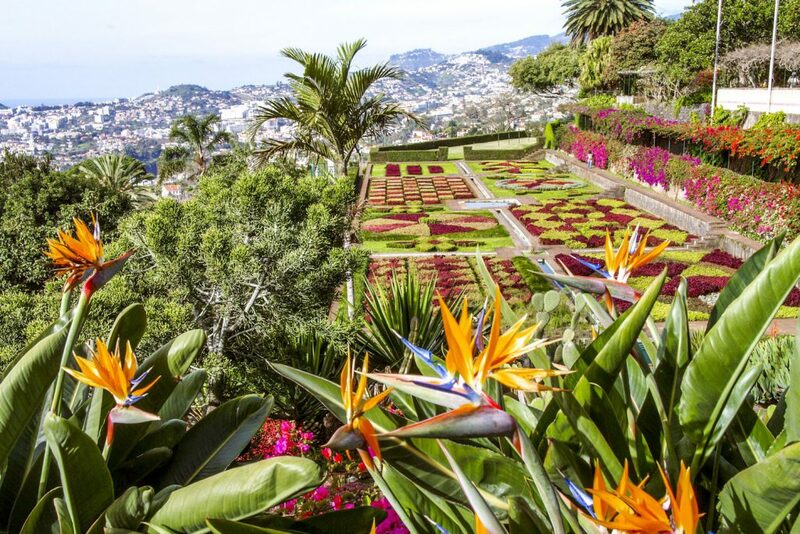 Madeira’s love of flowers is so prominent that the island even has botanical garden hotels to stay in. Quinta Splendida Wellness & Botanical Garden is a hotel in the charming village of Caniço, with an idyllic setting on a property boasting 30,000m² of landscaped botanical gardens and more than 1,000 species of plants. When staying here, it’s possible to soak up nature daily while enjoying the 19th century manor house hotel and one of the largest spas on the island. 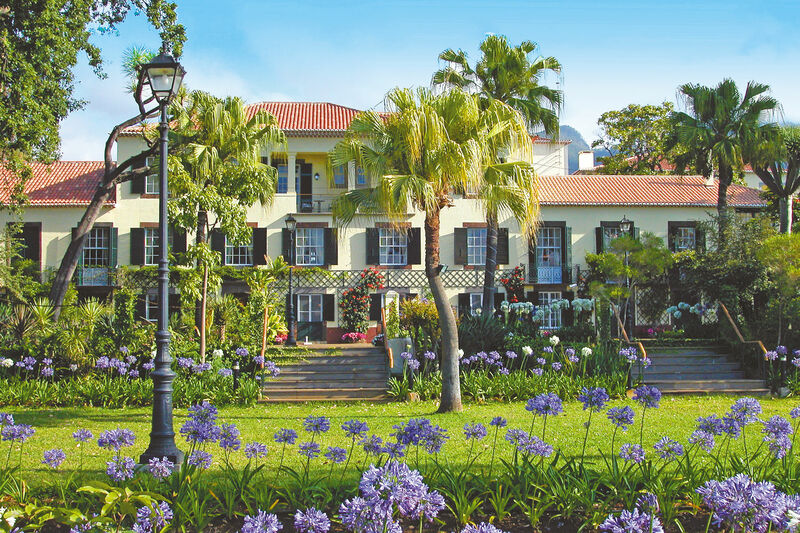 Quinta Jardins do Lago in Funchal is another of Madeira’s hotels with a botanical garden. Enjoy rooms overlooking 25,000m² of botanical gardens and an ornamental lake, have meals surrounded by nature on the garden terrace and make the most of the 18th century manor house hotel. Palheiro Village is part of the 200-year-old Palheiro Estate that is also home to the Palheiro Gardens, named one of the top 250 most noteworthy gardens in the world in The Gardener’s Garden (Phaidon) book. 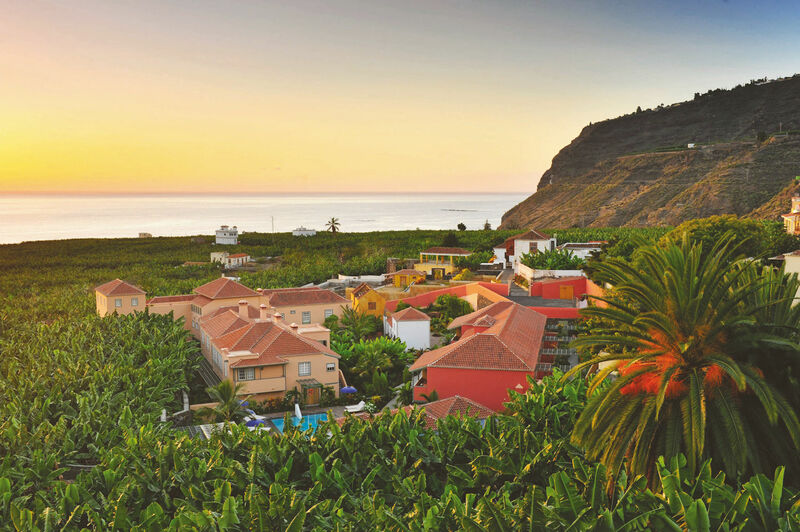 When staying in the luxury four-star apartments in Palheiro Village, it’s possible to stroll in the gardens every day, while also enjoying the bird’s eye view over Funchal and the ocean. 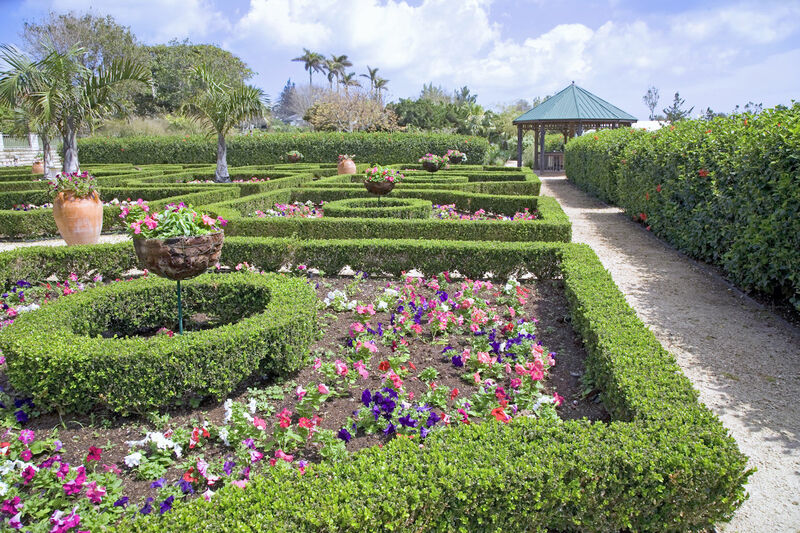 Bermuda Botanical Gardens covers an immense area of 145,000m² and has everything from sub-tropical fruit trees and Banyan tress to hibiscus, cacti and orchids. There’s also an aviary to explore as well as formal gardens and an aromatic garden. Located in the parish of Paget, this locality has plenty of other amazing natural surroundings to explore too, including Elbow Beach and it’s well-preserved coral. Coco Reef is the perfect place to stay here, with views of Bermuda’s pink sandy beaches and azure waters. 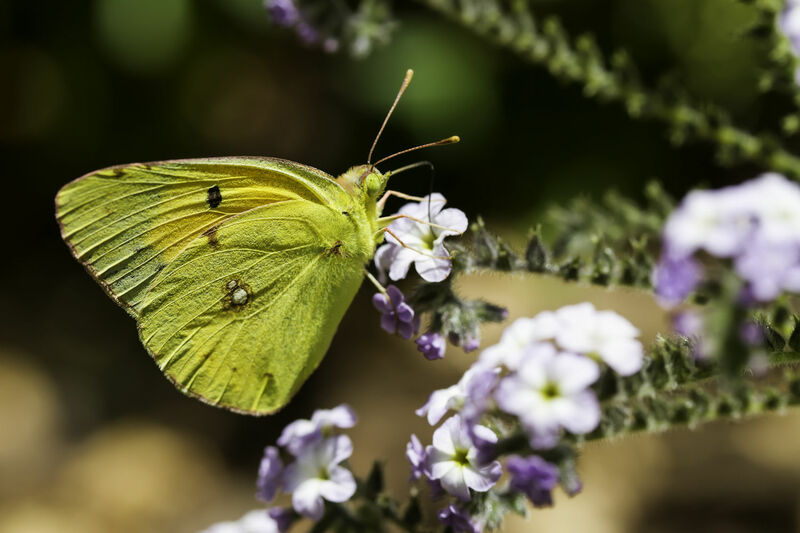 This Balearic Island is home to Sóller Botanic Garden, a celebration of the flora and fauna of the Mediterranean and the native species of the Balearic Islands in particular. 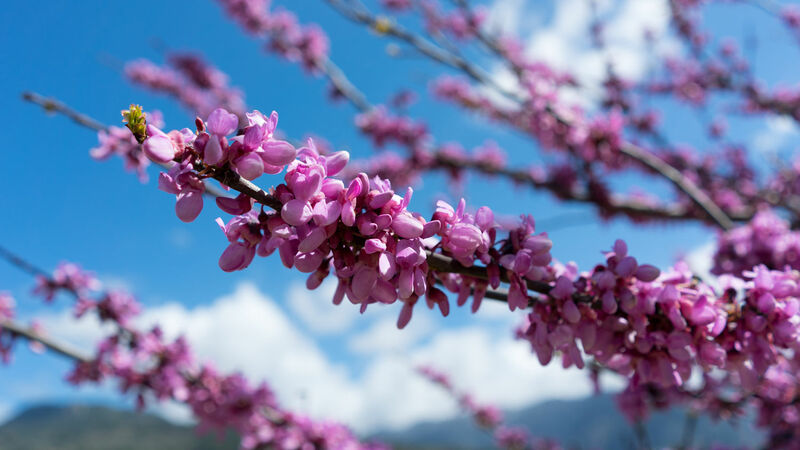 Explore medicinal plants, the cactus collection and autoctonous fruits in the small but perfectly formed botanical garden, which is found to the backdrop of some of Mallorca’s most stunning mountain scenery. The Museum of Balearic Natural Sciences is also on-site for those who want to find out more about the island’s natural wonders. Sóller itself is one of Mallorca’s prettiest towns, surrounded by orange groves and set around a quaint square with pavement cafés. The Gran Hotel Sóller is the ideal place to stay – a gloriously restored 19th century building with a rooftop pool, cocktail area and two highly-acclaimed restaurants. 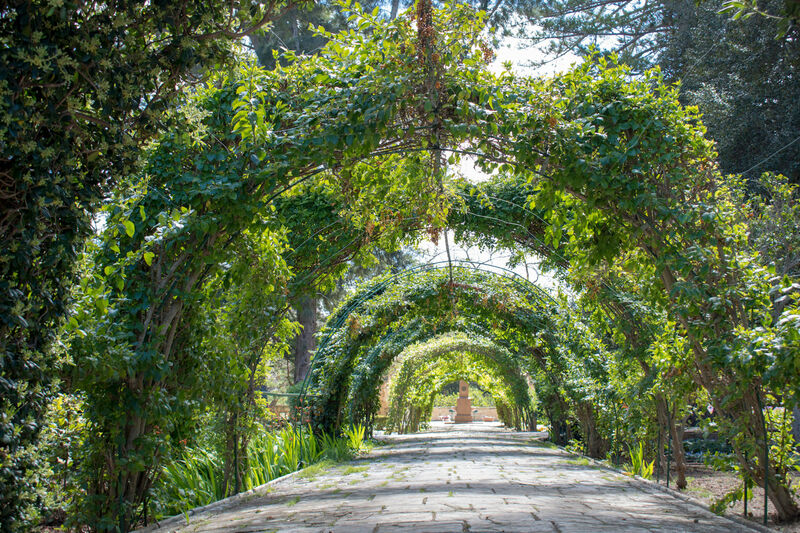 The 18th century botanical garden in Tenerife’s Puerto de la Cruz has a fascinating history. Spain’s King Carlos III wanted to bring exotic plants and trees from Central and South America to decorate his Madrid palace, but he needed somewhere for the plants to become acclimatised to a different environment en route. It was decided Puerto de la Cruz was the perfect place and it subsequently grew into the 20,000m² botanical garden it is today. This is a place to explore hundreds of tropical and subtropical plants, as well as a 200-year-old fig tree. The ideal place to stay is in Hotel Botanico, one of the most luxurious hotels in Tenerife located opposite the botanical gardens. 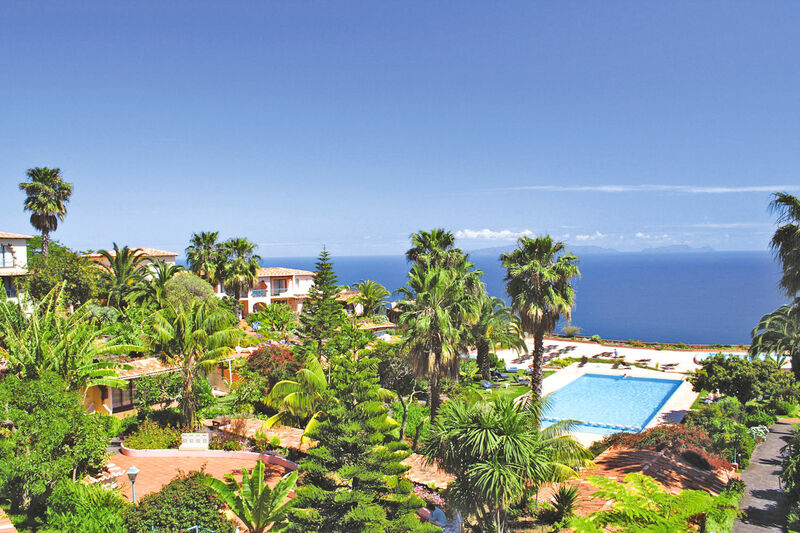 Soak up extraordinary views of Tenerife’s other natural wonders such as the Orotova Valley and Mount Teide, indulge in a treatment at the hotel’s award-winning Oriental Spa Garden and dine decadently every day at a choice of high-end restaurants. 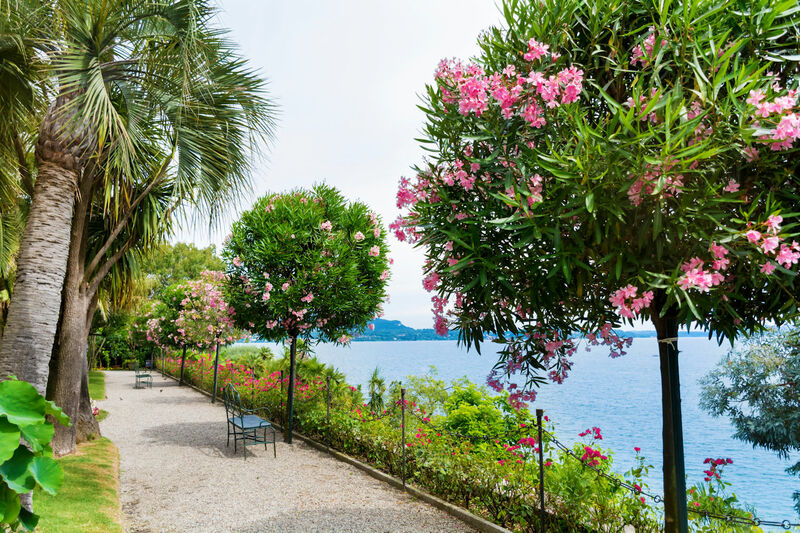 The Borromean Islands on Lake Maggiore are home to a botanical garden unlike anywhere else in the world. The largest island – Isola Madre – is just 220m wide and 330m long. The grand Palazzo Borromeo was built on the island in the 16th century and impressive gardens have surrounded it ever since. This island botanical garden is especially well known for its seven terraced gardens, the Himalayan rhododendrons in ‘The Hunchback Meadow’ and the largest cypress in Europe, which originally hails from Tibet. Aside from the botanical garden, Lake Maggiore itself is a wonderful locality for nature lovers to enjoy a holiday, with plenty of opportunities for activity and fresh air on the lake or in the surrounding mountains. The town of Verbania not only enjoys easy access to Isola Madre, but is home to other gardens of its own, including the Villa Taranto Botanical Gardens and Villa San Remigio, which between them have gardens covering an area of 240,000m². The prime place to stay in this Italian centre of botanical gardens is Grand Hotel Majestic in Verbania with lake views, high-end cuisine and its own enchanting gardens to find yet more respite from the world. 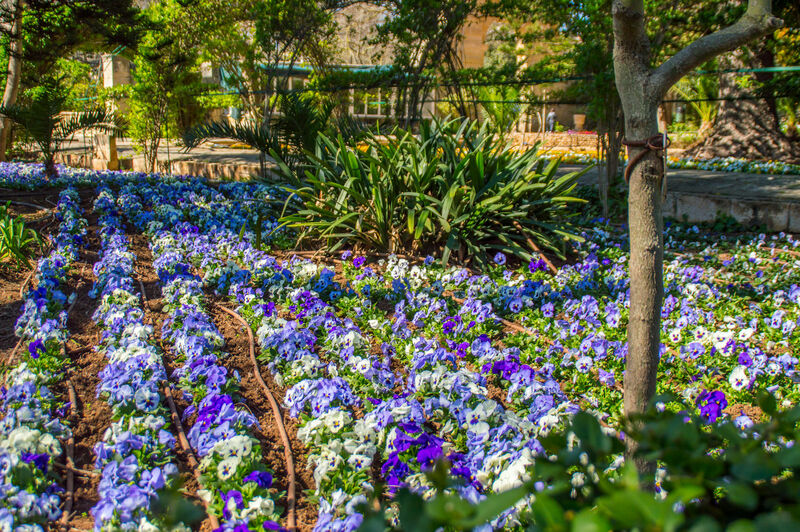 The heart of Malta is home to one of the island’s best kept secrets – the San Anton Gardens. Surrounding San Anton Palace, home of the Maltese President, these gardens have been available to visit since the 1880s. With a variety of trees and plants from around the world – from palm trees to jacarandas – there are also elegant walkways, ornamental ponds and an orangery. Some of the trees in the gardens are more than 300 years old. It’s a longstanding tradition that any visiting heads of state to the palace plant a tree in the gardens to forever mark their stay in Malta. The botanical gardens are located near the picturesque village of Attard. Appropriately, the village motto is ‘Florigera Rosis Halo’, which means ‘I perfume the air with my blossoms’. There’s no better place for garden-lovers to stay in Malta than the Corinthia Palace Hotel and Spa in the village. A restored 19th century villa, this glamourous hotel also has its own landscaped gardens ripe for guests to explore. This Caribbean island is home to a 24,000m² natural delight, in the form of a botanical garden and a breath-taking waterfall all in one location. 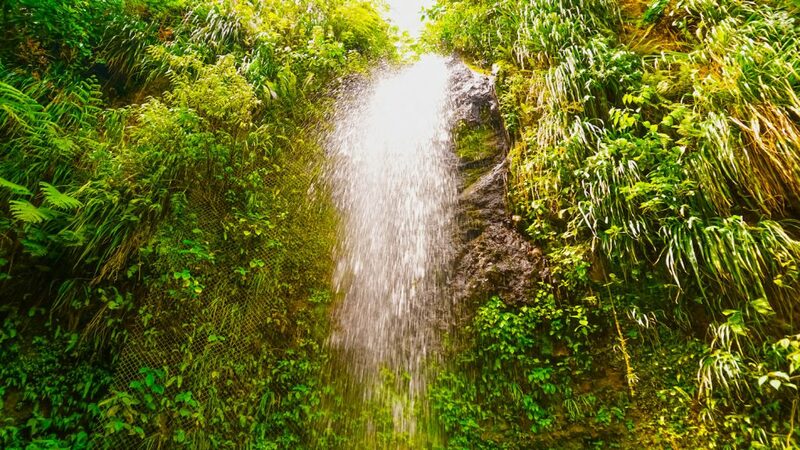 Diamond Falls Botanical Gardens in Soufriere has a vibrant array of flora ranging from hibiscus to heliconia. A nature trail allows visitors to take in yet more of the natural beauty, as well as some of the history, of the estate. The Diamond Waterfall is full of minerals that gives it a surprising rainbow effect, while mineral baths and a spa on the estate make the most of the healing properties of the waters found here. Soufriere itself is the perfect place to make the most of St Lucia’s natural attractions, with the Petit Piton and Gros Piton mountain peaks, pristine beaches and geothermically active localities. The area boasts a number of hotels that make the most of the awe-inspiring surroundings, whether it’s hotels with perfect views of the Piton peaks in Anse Chastanet or Val des Pitons, or overlooking the volcanic ridge at Jalousle. The Canary Island best known for agriculture is also home to a unique hotel that boasts its very own botanical garden. Hotel Hacienda De Abajo in the town of Tazacorte is on the site of a 17th century sugar cane plantation. While the mansion has been lovingly restored, the former plantation’s grounds have become a garden of exotic botanic rarities. Found across flowerbeds, pergolas, banks, ponds and ornamental pools, rare plant species from the Americas and Africa have found a home. The old garden of the sugar plantation also has banana plantations and fig, orange, lemon, quince and mulberry trees. A magical place to explore, this hotel and botanical garden rolled into one is a true inspiration. The overseas territory of Gibraltar fits a lot into its surface area despite its small size, and the 60,000m² Gibraltar Botanic Gardens – also known as the Alameda Gardens – is one of the wonderful surprises waiting to be discovered. Dating back to 1816, the gardens were created by a British Governor of Gibraltar so that soldiers stationed there would have a pleasant recreational area. Some of the trees in the gardens are subsequently at least 200 years old, and some even pre-date the formal initiation of the gardens, such as a 300-year-old dragon tree. There is an abundance of other unusual trees and plants to be discovered here, from wild olive and Australian Silk Oak, to Cape Honeysuckle from South Africa and the very rare Gibraltar Campion. The perfect place to stay near the gardens is The Rock Hotel. Built directly into to the limestone cliff, The Rock Hotel overlooks the botanical gardens and offers incredible views over the Bay of Gibraltar too.